Patients with CTEPH had a higher antiphospholipid prevalence rate compared with the general population, as well as patients with pulmonary embolism. 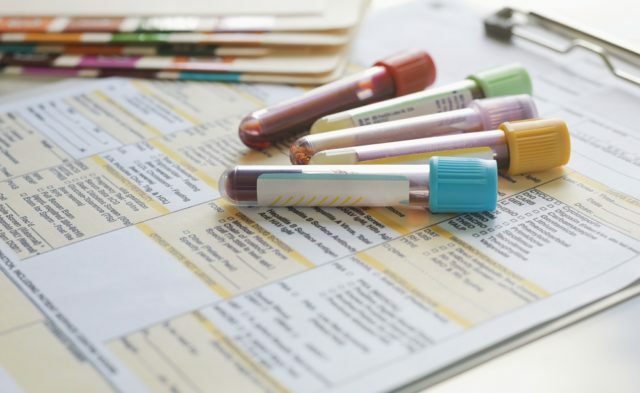 Antiphospholipid (aPL) antibodies are commonly found in patients with chronic thromboembolic pulmonary hypertension (CTEPH), and may be predictive biomarkers for the disease. This is according to a systematic review and meta-analysis published in Internal and Emergency Medicine. Investigators independently reviewed online databases for studies reporting inherited acquired thrombophilia results in patients with CTEPH. A total of 8 studies that included patients with CTEPH and data on patients’ aPL antibody profiles were included in the final analysis. Significant heterogeneity among included studies was observed (I2, 76.33%; 95% CI, 52.75%-88.14%; P =.0001). In the crude analysis, patients with CTEPH had a higher aPL prevalence rate (11.8%) compared with the general population, as well as patients with pulmonary embolism (95% CI, 10.09%-13.80%). The weighted mean proportion and 95% CIs resulted in an aPL antibody-positive profile rate of 12.06% (95% CI, 8.12%-16.65%) in patients with CTEPH. In addition, the researchers found that the association between aPL and CTEPH was still noticeable when the study with the largest weight was excluded from the meta-analysis (rate of aPL, 12.76%; 95% CI, 7.81%-18.70%). According to the investigators, the main limitation of the study was the incompleteness of some of the thrombophilia data.